Seven people have died after a plane crash at "Shoreham Air Show" in Brighton, south east England. 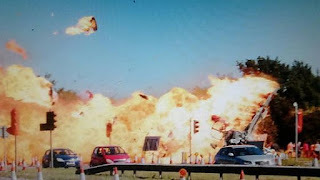 SECAMB confirm 7 fatalities from the crash at the Shoreham air show today. Thoughts are with the families and loved ones. The plane, a 1950s Hawker Hunter fighter jet, came down as it was performing a loop. Media reports suggest the aircraft stalled mid-manoeuvre.